I love taking pictures of my kids on the first day of school every year. 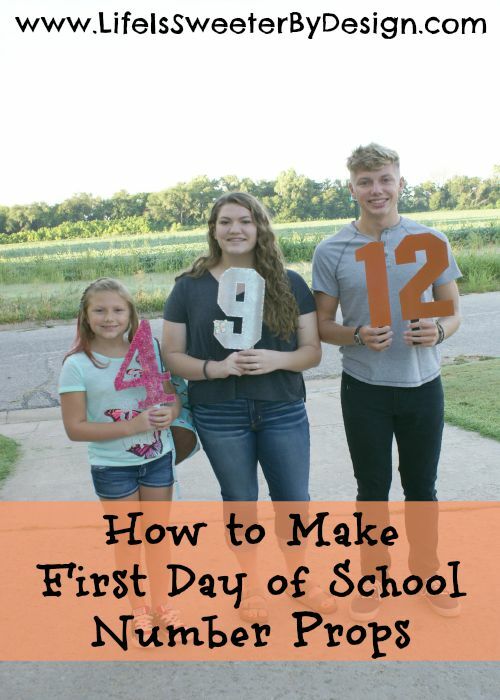 This post on How to Make First Day of School Number Props is going to show you how I made the number props we used for our first day pictures this year! The idea for big numbers just came to me and I knew it would be a pretty simple prop to make. I was really thrilled with how they turned out and the fun thing is that you can personalize them as much or as little as you want! 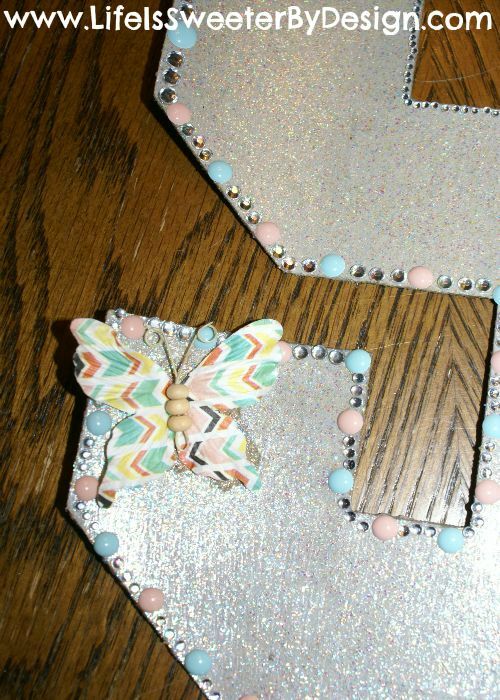 I used things I already had on hand to make these and I love when I don't have to spend any extra money on a project!! I wanted the numbers to be BIG! I stink at free hand drawing so I decided to use my cutting machine for the numbers. The Cricut Explore One machine would make this project a breeze! I used a piece of very thick 12 x 12 cardstock so that it would be sturdy and not bend over. I wanted large numbers so I cut my numbers very close to 12 inches tall. If you don't have a cutting machine you could draw a very large number on your cardstock and cut it out. You may be able to find large number stencils at a craft store as well! I have children at various grades and with very different personalities so our numbers are unique! 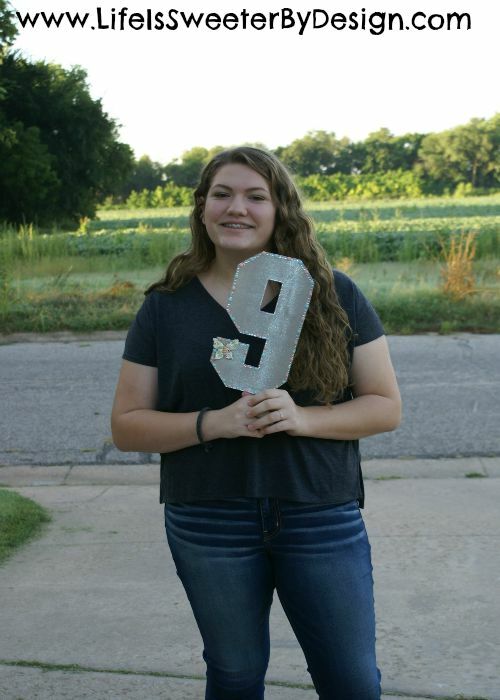 My oldest is a senior this year and honestly…wasn't too big on holding the numbers in the first place. 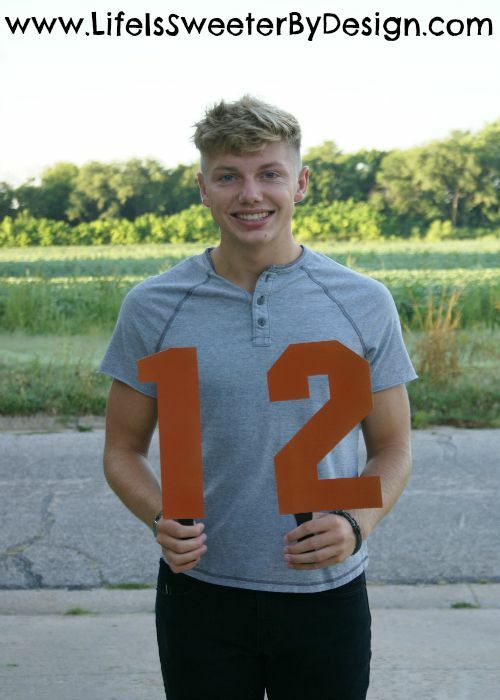 He refused to plan out what he was wearing for the first day in advance so that I could color coordinate his numbers….so he got what he got, LOL! My oldest daughter wanted to decorate her number herself and did a great job. I did my 4th grade daughter's number and tried to match it to the shirt she was planning to wear that day. To make the number 4 all glittery I took a can of spray adhesive and sprayed the entire number and then dusted it with glitter. It was quick and easy. The glitter stuck to the number very well. My oldest daughter covered the number 9 with Mod Podge Sparkle and then added embellishments along the edges. It turned out really cute and now my 4th grader wants me to save it so she can use it in 5 years LOL! (don't count on that happening 😆 ) Here is a close up of the embellishments and the pretty glittery Mod Podge! I wanted each number to have a handle and knew I had a bunch of wooden paint stir sticks in the garage. I used spray paint that I had on hand and painted each stick. If you don't have paint stir sticks you could use a dowel rod as a handle. I used another one of my favorite crafting items…hot glue to attach my wooden stick to my number. If you don't have a hot glue gun you could try using E6000 which is a really strong permanent craft adhesive. Now all you have to do is have your kids hold the number that represents what grade they will be in this year and start snapping pictures! You can make new numbers every year and even let your children help! 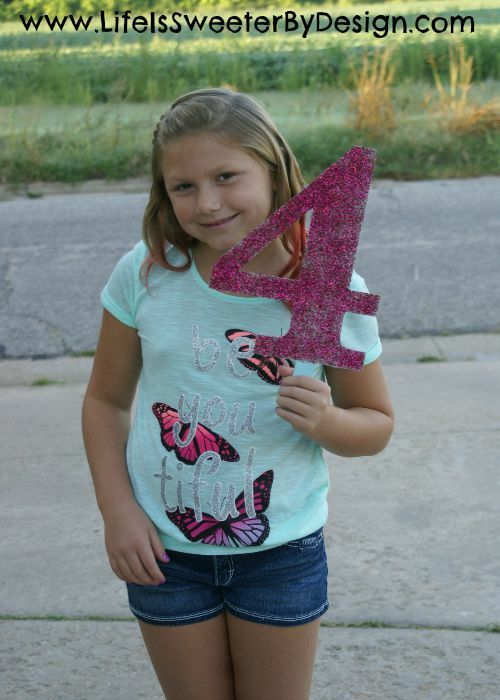 How to Make First Day of School Number Props is easy enough for anyone to do and you may even have all the supplies on hand! What is your favorite way to document the first day of school each year? What a great idea! My kiddo is starting preschool in a couple of weeks, and I’m still trying to decide on a prop. Thanks Donella! It is fun to take 1st day pics!! What a great idea…wish I’d thought of doing that when my kids were in school. Just need to make sure the grandkids start doing it. Popping over from Weekend Retreat Party – playpartypin. Check out number 676 for a ‘first day of school’ school cone that’s been a German tradition for over 200 years. Love you blog. Thanks Suzy…sounds interesting, I will check it out! Awesome! Such a great idea too! This reminds me – I need to take photos for my kids too! Thanks so much for the features! I appreciate the kind words!